Engagement rings hold the promise of a couple’s lifetime together. That an engagement ring should hold up and remain intact for a good portion of that lifetime is a must. When you’re out shopping for that special engagement ring, it’s good to make the setting a priority since it is essentially what will dictate the strength (and beauty) of the ring. Considered a classic and a favorite by many, the “Tiffany setting” was introduced by the famous jewelers Tiffany & Co. in 1886. 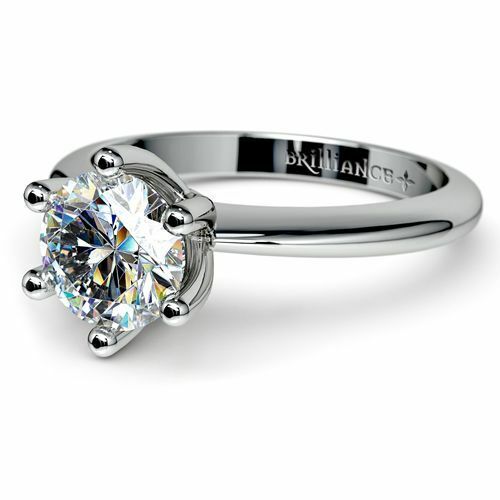 It features six claws holding up a mount bearing a solitaire round, brilliant-cut diamond. 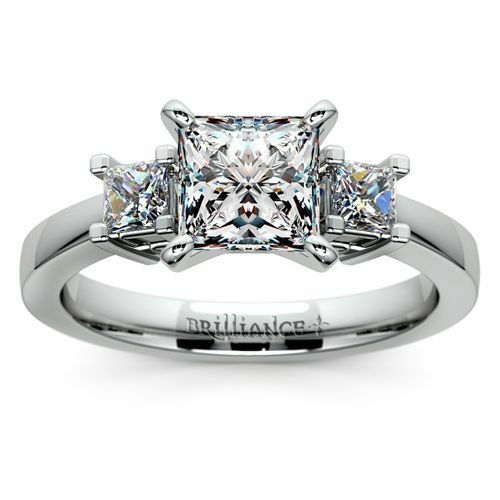 This setting allows maximum brilliance as the diamond catches light, and the six prongs holding it up guarantees strength and durability through the years. Three stones on an engagement band usually represent the couple’s past, present, and future. 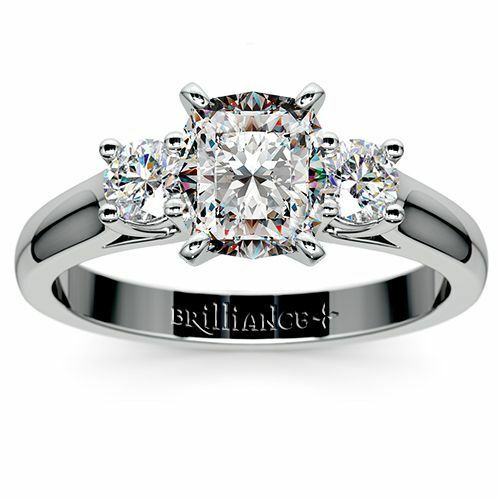 This is why a lot of couples opt for the trilogy setting, and also because it features a beautiful, timeless design. A main stone is chosen as the center, with two smaller ones flanking it in a horizontal placement. The precious stones are often chosen carefully together for their cut, clarity, and proportions to each other, so this setting typically takes some time to execute. Those who have active lifestyles can definitely appreciate the inherent durability and flawlessness of the bezel-set engagement ring. Instead of being mounted on prongs, the round-cut diamond is embedded onto the ring itself, thus significantly reducing the possibility of losing the stone. A smooth bezel-set also looks great when paired with plain wedding bands of the same precious metal. A square-cut diamond is dramatically held up using a table formed by two sweeping ends of the ring. 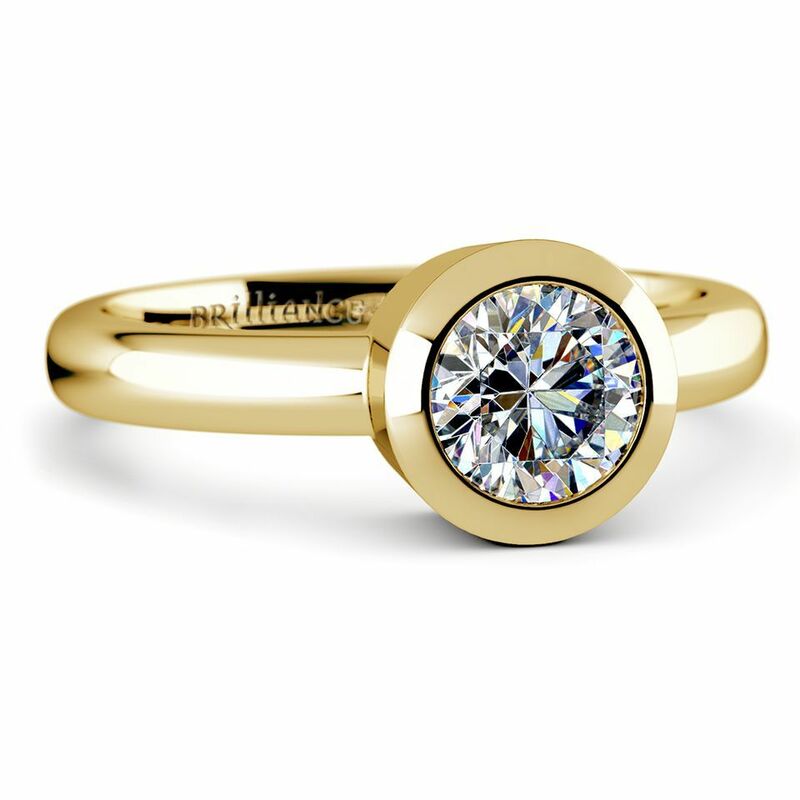 The stone is usually large and has pride of place on the ring in a more modern “topper” design. It is another kind of setting that harmonizes well with plain bands or ones with small channel-set diamonds. Future brides who prefer a timeless engagement ring can take inspiration from the classic Tiffany mount, but with a more dazzling and sparkling twist. The “topper” diamond is still held in place by six prongs but is further enhanced by smaller round-cut diamonds in a channel setting on the band. 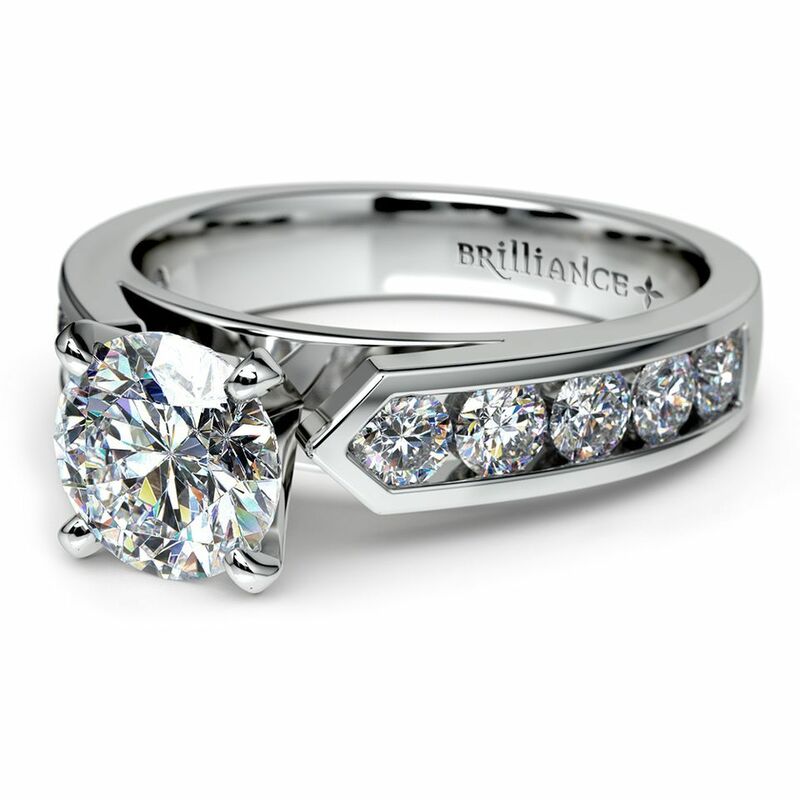 Check out other beautiful round diamond wedding rings and settings from Brilliance.